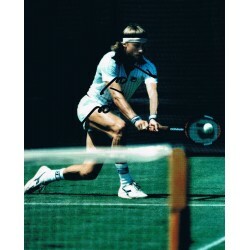 (1981 - ) 6x4`` Colour action photograph of Russian tennis star. (1956 - ) 10x8`` Colour action photo from the Senior Tour. Borg is arguably the finest mens tennis p..
(1986 - ) Spanish Tennis Star. 10x8`` Colour photograph, signed in London 2008. Hard to find. 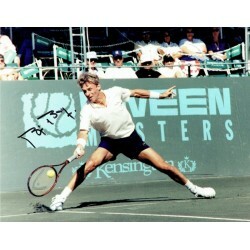 ..
(1971 - ) 14x11`` oversized photograph of Tennis Star, signed at a UCLA tennis tournament in 2008. E..
(1956 - ) 10x8 Signed colour action photo. 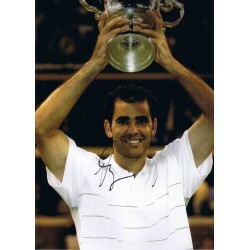 Between 1974 and 1981 he won 11 Grand Slam singles titles..
A 20cm x 25cm photo signed by Anna Paquin in blue marker. ..